Jason believes he is all alone in the world. Ever since his parents died in a car accident, he has been bouncing from one foster home to the next. He ran away from the last house, but even Jason has to admit that his new home with Mrs. Brickles isn’t so bad. However, it comes with one small catch. There is a dangerous creature lurking in the woods behind Mrs. Brickles’s house, and Jason may be the only one who can stop him from reaching his ultimate goal! Dagon the Leviathan is after three keys that could grant him immortality, and he isn’t above hurting anyone who gets in his way. 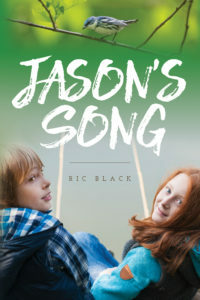 As Jason finds a way to stand up to this oversized bully, he learns an important truth about friendship and family. Jason believes that he is all alone in the world, but maybe he doesn’t have to be. Click here to purchase for Kindle.